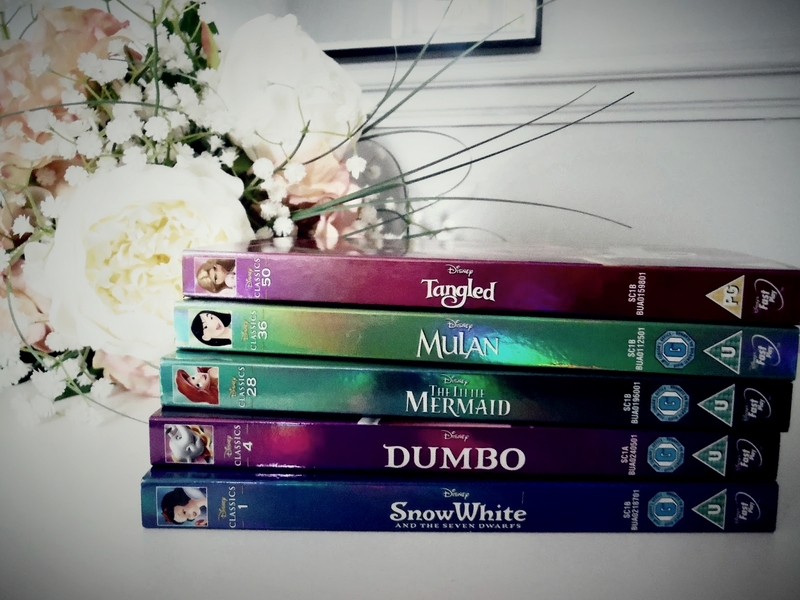 I thought today I would do a bit of a fun, light-hearted post and share with you guys my top ten disney classics. This was so difficult to choose and it'll probably have changed by tomorrow, but here are my current favourite disney films! Belle has always been one of my favourite princesses. All of the bookworms out there can relate to her and I think she's one of the underrated strong princesses out there, as whilst she doesn't fight like Mulan or Pocahontas, she defies her society, men, and her captor and she's just totally kickass. I think Ariel gets a bit of stick sometimes as being someone who's just gives everything up for a man, but she longs to be a human way before Eric comes along and I think she reminds people just how important your independence and going after what you want is. This will always be one of my favourite nostalgic films. The opening credits take me instantly back to my childhood and I think it may be my favourite of the older disney films. Plus the scene with trusty just breaks my heart every time. This is hands down one of the most beautiful animations disney have created. It reminds us to be way more considerate towards mother nature than us humans actually are, and tells such a heartbreaking and intense story in such a beautiful way. This is hands down one of the funniest disney films in my opinion! I feel like it often gets forgotten about but I absolutely adore it and it never fails to make me laugh. Plus I love the voice actors in this one! Again, another one I love for the humour. Hades is my absolute favourite disney villain and just completely makes this film for me. Plus, the music! Aladdin was my childhood crush and will always be my favourite disney prince! I lost count of how many times I watched the magic carpet scene as a child and the genie will always be one of best disney characters. Probably my favourite newest release from disney! My inner science nerd came out in full force when I watched this in the cinema and it made me laugh and cry all the way through! Stitch will forever be my ultimate favourite disney character and I've lost count of how many times I've watched this film. Hawaii calls to me, and from the moment I saw this film as a child, I have wanted to visit there. The culture, the music, the scenery, I adore it all! I was very late to the Tangled party but from moment the film started I was hooked. It quickly became my go-to disney film and I find it so easy to binge watch. Maximus and Pascal are one of my favourite disney duos, the comedy between these two characters is just fantastic. Plus it's hard to top the lantern scene! What are your favourite disney classics? I love the little mermaid and snow white. I remember going to see Beauty & The Beast at the cinema (gulp, that shows how old I am!) during Christmas. We had to queue for hours because this is before you could book your tickets in advance and because it came out during Christmas it was often full. It is such a happy memory that I think it would have to be my absolute favourite. Beauty and the Beast has always been my number one, but Tangled is definitely up there as well. This is such a sweet post! You've made me want to dig out old VHS tapes!